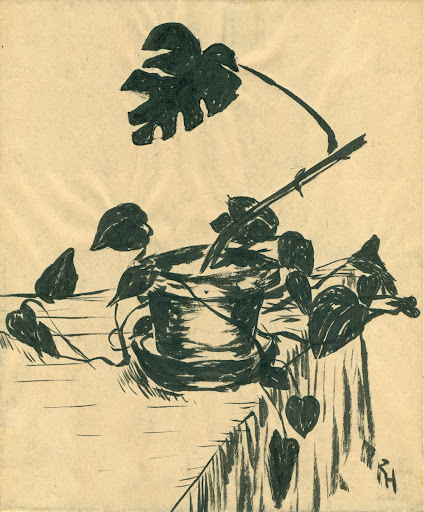 Drawing in ink of an ivy plant. One of the works RTH did in college. The paper is crinkled, so it was hard to get a clean scan.